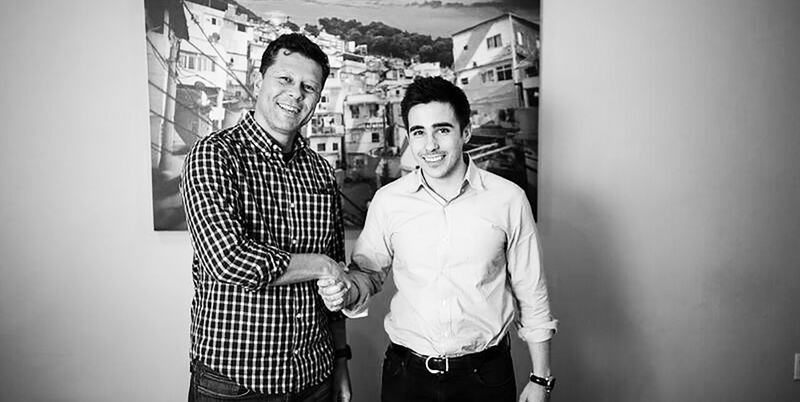 NEWPORT BEACH, Calif. - Sept. 17, 2018 - PRLog -- CEO Coaching International, the leading firm coaching over 170 of the world's top growth-focused Entrepreneurs, congratulates its client, Victor Santos on an exclusive partnership with Brazilian retail giant Via Varejo to offer mobile financial services to millions of unbanked and underbanked Brazilians. Airfox was founded in 2016 by ex-Googlers Victor Santos and Sara Choi. Airfox quickly established itself as the leader in affordable data plans for US-based prepaid wireless carriers. Airfox aims to be the industry leading digital bank for Brazilians in classes C-D-E by providing a more innovative and cost-effective mobile banking experience specifically tailored to the needs of the lower socioeconomic classes. "This partnership further validates the unique business model AirFox provides to the unbanked people in emerging markets using innovative blockchain technology," says Don Schiavone, Managing Director at CEO Coaching International. "Congratulations to the entire AirFox team." Airfox is on a mission to provide more than two billion unbanked people in emerging markets with mobile access to financial services. The Airfox app, available on Android, eliminates the need for traditional financial institutions and enables unbanked users without credit access to critical financial services. The Airfox lending platform runs on the AirToken platform (AIR), an ERC-20 token built on the Ethereum blockchain. Airfox has offices in Boston and São Paulo. To learn more about the future to mobile banking, visit www.airfox.com.